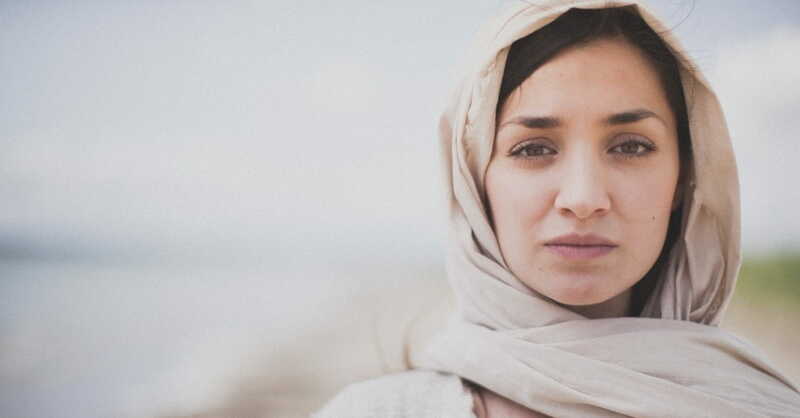 6 Female Bible Heroes Who Ignored "Why Me?" and Chose "Yes, Lord!" Our Biblical sisters—Eve, Ruth, Esther, Mary, Martha, and Mary of Nazarene—surrendered to God in different ways, depending on their position, personality, and predicament. No two lives were the same, except for one thing: They all said yes to God. We can still answer yes even while we’re confused. Saying yes is easier said than done; unless we’re accepting a second helping of chocolate brownie fudge delight. “Why yes, thank you. Don’t mind if I do!” Making room for another scoop of goodness doesn’t take much faith or courage. Not as easy, however, is accepting another trial, loss, disappointment, or failure. We know we should say yes to God and trust Jesus with our lives. We may even want to say yes because we believe His plans for us are good. But what if saying yes is painful, confusing, or difficult? Sometimes we wrestle with “Why?” before we get to yes. I struggled with “Why me?” when I was young. I grew up with a single mother who struggled with schizophrenia; I lived in three different foster homes before I turned twelve. I often wished my mom had given me away. I yearned for normal parents, pets, skating lessons. My foster homes were almost too good; living with stable families made it hard to move back with my mother. I also felt terrible for my foster siblings. Baby Rocky was born addicted to heroin because his mom was an addict. Wild fourteen-year-old Sylvie kept running away with her boyfriend, who kept beating her up. “Why, God?” I asked on everyone’s behalf. 1. Eve said yes to grief, healing, and new life. In the beginning, Eve said yes by accepting her losses and choosing to praise God for new blessings. (Seth, a baby boy!) But Genesis 4 tells us that before she grew forward, she mourned. Eve was the first woman to grieve the death of a son and to agonize over her other son’s crime of killing his brother. She was the first woman to feel the pain and shame of family estrangement. Eve was also the first woman to move forward without the support of a mom, sister, or aunt. Worse, she didn’t have the Holy Spirit’s power, wisdom, or joy. She couldn’t treasure God’s words in Scripture because they weren’t written yet. While Eve was on earth, she didn’t know Jesus’ grace, salvation, or love. And yet she found the strength to say “Yes, Lord” and keep moving forward. 2. Ruth said yes to starting over after loss. When she left her home country to move to Israel with Naomi, Ruth moved through fear, doubt, and uncertainty. The book of Ruth tells us that she and her mother-in-law, Naomi, were childless widows who had nothing. Naomi didn’t want Ruth to give up everything. In fact, Naomi urged her to return to Moab. But Ruth refused. She was determined to walk into a new life and build a relationship with God. She believed a fresh season had already begun and she wanted to keep moving forward. Ruth repeatedly said yes by pledging her allegiance to God, turning away from her family and Moabite idols, gleaning in foreign fields, and risking her life by approaching the wealthy Boaz. She became King David’s great-grandmother and is named in Jesus’ family lineage. 3. Esther said yes by creating a strategic plan. Before Esther was a queen she was a Jewish orphan girl called Hadassah. She is the second woman in the Christian Bible with a book named after her (Ruth was the first). Esther risked her life to save the Jews from extermination by King Xerxes. How? Not by batting her eyelashes and asking the king to pretty please let her people live. • Three days of fasting for herself, her attendants, Mordecai, and the Jewish people. • Two delicious banquets to soften and sweeten King Xerxes. • A strategy to stop Haman’s extermination plan. • A public confession that she was Jewish. • Her verbal and social skills to approach the throne. • Her face, body, hair, and royal garments to please the king. • A logical argument that appealed to Xerxes’ ego, honor, and reputation. (Esther 4-5 and Esther 7). Esther said yes and used every resource God gave her. She prepared—and executed—a strategy. And she was victorious. 4 and 5. Martha and Mary both said yes by sharing their natural strengths. The book of Luke tells us Martha was a hospitable woman, preoccupied with preparing the comforts of home and hearth. She poured her energy into serving houseguests, ensuring bellies were fed, keeping bodies warm and comfortable. Martha’s ministry was practical and probably delicious. In contrast, her sister Mary spent time sitting at Jesus’ feet and absorbing His teaching—which was unusual and even scandalous for women in those days. Mary opened her mind and heart, absorbing every moment with Him. These women spent their time and energy differently because they had unique personalities, strengths, and gifts. They expressed their love for Jesus in different ways. Jesus unconditionally accepted and loved them both for who they were. He interacted with them differently … and Jesus let them say yes their own way. 6. Mary of Nazareth said yes by letting go. Mary of Nazareth was the Jewish mother of Jesus. She is lauded as the Blessed Virgin Mary, Saint Mary, Madonna. She was faithful, courageous, and strong—but she was also a real woman who faced great pain, sacrifice, and grief. She loved her husband, Joseph, and her son Jesus. She lost them both. No matter what Mary faced, she chose to participate in God’s plans. Mary, like Hannah centuries earlier, sang yes! to God even though she had no idea what her future held. When the angel Gabriel first appeared to her, she said “Yes, Lord” to the possibility of losing her fiancé and living in disgrace as an unwed mother. She said yes to an unknown, unchosen new season in her life. Mary had no idea what she was agreeing to, yet she blossomed into the biggest yes of her life. These women came alive to me while I was writing Growing Forward When You Can’t Go Back. I imagined the pain of being Eve, the first woman to grieve a son’s death and accept another son’s estrangement. I felt the fear and loneliness of being Ruth, a childless widow who moved to a new country and started over. I wondered what it would be like to be Queen Esther when all you really want is your mom and dad, a home, a normal life. I felt Mary’s confusion and grief of giving birth to a son, raising and loving him until the moment he breathed his last on the cross. Let go and let God work through you. Through all this, I realized the key to saying “Yes, Lord” is allowing our relationship with God to change and grow. It’s about letting go of what we think Jesus should do and releasing our expectations. Saying yes means opening our hearts and minds to the Holy Spirit, and humbly letting Him lead the way. How is Jesus asking you to follow Him? Maybe you need to accept a loss, or keep praying through an unexpected or painful season of life. Maybe it’s time to release your expectations and walk with faith into the future God has planned. Laurie Pawlik-Kienlen, MSW, is the author of Growing Forward When You Can’t Go Back and the creator of the “She Blossoms” at BlossomTips.com. Her experiences taught her that choosing to grow forward is essential—especially when you can’t go back! Her degrees are in Psychology, Education, and Social Work. Laurie writes full-time in her treehouse in Vancouver, Canada.